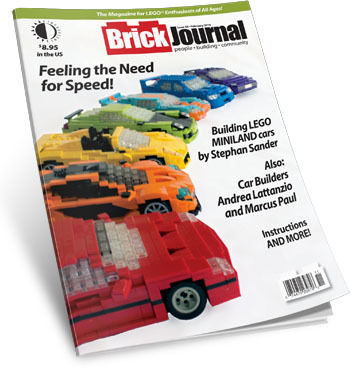 The new issue of our LEGO mag BrickJournal (#38) is shipping today. The focus is on building cool cars and hot rods, and features tips and tricks from top international LEGO car builders. Subscribers can expect their copies to arrive any day now (if not already), and the mag will be in Barnes & Noble and other retail outlets over the next couple of weeks. You can check out a free preview of the issue, and order HERE. This entry was posted in TNT on 15 January 2016 by Mr. Morrow. Let’s start 2016 with a BIG bang in Back Issue #86! 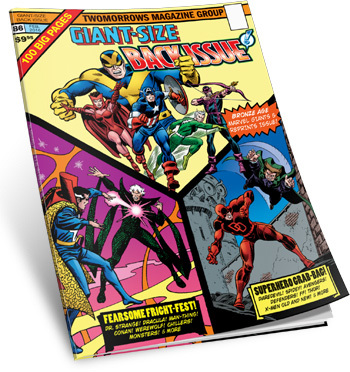 Shipping today is Back Issue #86, wherein editor Michael Eury and his regular crew of contributors spotlight a colossal batch of Bronze Age Marvel Giants and Reprints! This oversize issue costs an extra $1, but I think you’ll feel it was worth it. No one’s ever covered these books like Euryman has here, so check out the free preview and order HERE! This entry was posted in TNT on 12 January 2016 by Mr. Morrow. New year, new look, same great publications! By now you’ve probably noticed a new, more streamlined and modern look to our website. Hope you like it! Our new slogan “The Future of Comics History” really conveys what I’ve been trying to do with my company for the last 22 years: document the heritage of this industry we all love, but in a fresh, new, and comprehensive way. Based on our continued longevity in the field, and the responses from our readers, I think we’re continuing to achieve that. But we’re not stopping now! There’s plenty left to cover, and more “new” history is being made every month in comics. As long as you’re around to enjoy it, we’ll keep making comics history accessible for everyone. Happy New Year!